I love my Ubuntu 10.04. 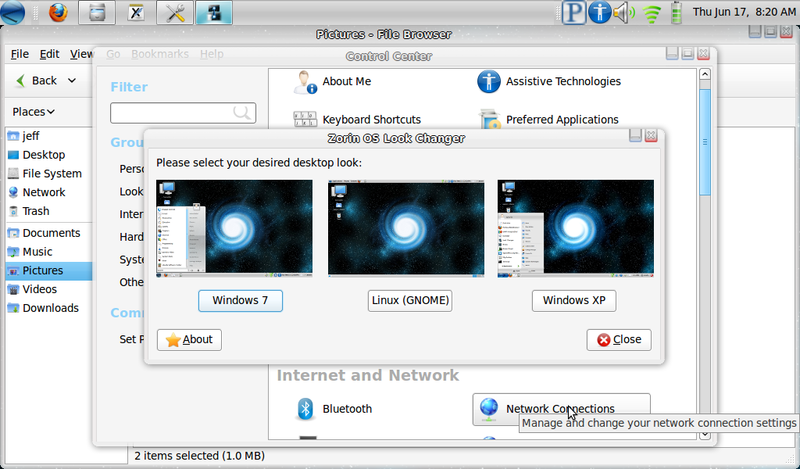 It is great that there is a version which is designed like Windows 7 which hopefully will bring over more windows users. I also agree that they should use Sun's Java instead of OpenJDK but atleast you can uninstall OpenJDK and install Sun's JDK from the extended repos. this is dumb. who cares. thats all we need is another windblows imitator. and worse, based on ubumtu. no body wants this, go away..
Is must be tough being you, living with so much negativity ! Lighten up, nobody force you to read about or use Zorin - or climb back in your little black hole ! I like windows 7 very much but could easily be turned to linux with this system. I've tried ubuntu but found it very confusing when playing (or rather not playing) various medias.Everything on this system seems to work out of the box and I love the compiz. I have been using Zorin for several months and recommending it to my friends. Now I find out it is a couple of kids behind the project! That is so fine and just shows how the digital revolution welcomes everyone regardless of age, race, or gender. The distro is excellent by the way. I've been considering putting this on my netbook. 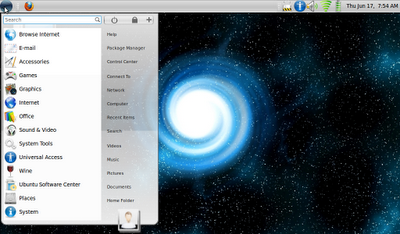 Memory usage is the same as the normal Gnome desktop with Compiz enabled. Runs fine on most atom chips with intel graphics cards. I must admit upon seeing it was an ubuntu derivative I almost didn't download this (only because I've done ubuntu/mint etc, wanted something slightly different). But I did download it and I really like it, and it is now my main system. Just seems to work better/faster even with all the visual effects on. I think the windows transition concept is a good one. The user will quickly realize how easy it is to tweak the desktop to their liking anyway. Thanks for the good review. I can't speak highly enough of Zorin OS. Linux sytems are faster, lighter and more secure than Windows - plus they are free, and the software is also free. In spite of this the majority of Windows users are very reluctant to change their OS. Windows is what they know and have always used. This is where Zorin comes in with its windows-esque features. It's so damned simple! Everything works straight out of the box. Nice bold icons. Easy to navigate menus. Ubuntu software centre. Easily customisable. 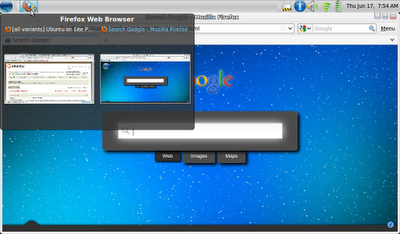 Compiz spinning, desktop cube etc. if you want if you want it. Zorin is the first linux distro I have stuck with over a length of time. Even though I'm not a linux beginner, I love it's ease of use and always recommend it to long-suffering Windows users. I have been using Ubuntu/Mint and seemed to fumble with the menu's of both. I was REALLY surprised with Zorin. It is slick, complete and very user friendly. The guys who developed Zorin did an excellent job. I installed Zorin on my computer after Windows XP wouldn't open anymore and only option seemed to reformat. So far it's worked flawlessly and i like all the software availability. The only issue I've had has been installing iTunes. I need iTunes to synch my iPhone but haven't got it working yet. Any suggestions? I've looked in all the forums I could find without any luck. I want specific help with running iTunes in Zorin. Nice flavour of Ubuntu and looks well polished. I really like it! I think that when it comes to Linux, ubuntu is #1 because when I install Ubuntu in most computer all hardwares gets recognized right on the spot. Name me any other Linux distributions that has as much drivers supports as Ubuntu? The problem with the other Linux distributions such as Mepis, Mint, Small Dog Linux, etc is that they dont have as much of driver base support as compared to Ubuntu, and the chances that you will have that one of more of your hardware wont work with these Linux variations is MUCH high than if you just decide to use Ubuntu. Also, companies like Dell actively volunteers in porting some of their drivers for Ubuntu. All what I know is that when it comes to Linux, none compares to what Ubuntu is, not even Fedora. Fedora, I installed it into my cousins computer, is wasn't really a slow distribution, but it wasnt going as fast as it should, some programs would execute and run slowly, but then,my cousin downloaded and installed Ubuntu him self and he said "wow! my computer is running real fast now", firefox, and everyting just load fast, fast video performance, Ubuntu recognized the computer's nVidia display adapter right after installation, something that Fedora failed to do and required manual nVIdial installation for that to occur. The only thing that we need is a guarantee that WINE will run just about any windows application, when that day comes, there will be a truly genuine reason for just about any 1 to move to Linux, eveno thorugh right now we have all kinds of Linux Software Equivalents for formwer Windows softwares. I have a friend whos crummy vista install crapped out on him (one of at least 7 other friends within the last 6mo). He's not really a technical person at ALL, and primarily uses his laptop for web surfing and listening to music. I chose Zorin because of how easy it was for a 'very non computer savvy' person to transition to. Not to mention, his laptop was revived as it is a bit older. this thing cruises now and he loves Zorin. For those who have friends/relatives who dont do much other than email web and music (like most of my friends) i highly recommend this. Plus it saves me having to fix their computers from malware/spyware/viruses on a monthly basis. Kudos to the developers. While the windows replica interface isnt something i was into (and those microsoft haters) it is definitely nice to have around for people who dont really want to take the time to learn ne thing new. it looks like windows, so that to them is safe and comfortable. Hats off to the Zorin dev team! I am a Linux newbie and have had a lot of fun over the last four months experimenting with different distros. I do not have the time to study Linux in depth as I should, so having things work right out of the box is important to my continued interest. 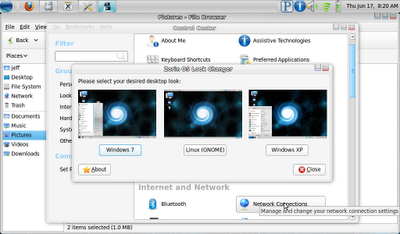 As you can imagine I have stayed mostly with OS's that follow that theme (Linux Mint, PCLinuxOS,etc.). Most of the forms of Linux that I've tried have worked well and been quite stable although I sometimes have to experiment to actually get certain distros to install to and work well with my laptop. Zorin OS works right out of the box as well as any of the other distros I have tried, plus it resembles Windows7 enough that my wife has actually started to use it. The familiar look seems to makes it less confusing to use and learn. I think Zorin OS is going to be a permanent part of our computing experience. I'm so glad I stumbled onto Zorin. Really a good linux! I felt right at home almost right away. I mean, everything is easy to do and its free! - upstanding and I tried so many other linux (also live cd) and zorin so far is my best! hey guys..i'm currently using windows xp..i wanna uninstall windows completely and start using zorin..can u please gimme the procedure?